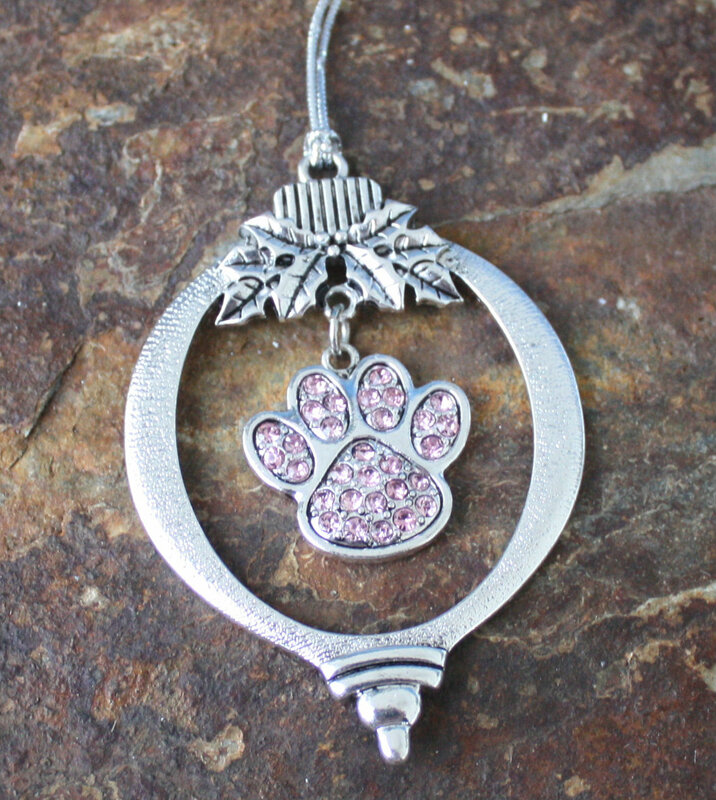 Celebrate your best friend in style with this ornament. 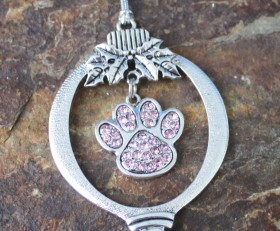 A pink or clear crystal paw charm hangs from the ornament. Makes a beautiful, unique gift. Choose the color crystal paw you want. Categories: Christmas, Dance & Cheerleader Jewelry, Dog Lovers Jewelry, Motorcyle Lovers Jewelry, New, Ornaments, Running Jewelry.